Lunglei is one of the main districts in Mizoram and is located at a distance of 235 from Aizwal, the capital of Mizoram. There are many places that you can visit when you are at Lunglei. You can also view relics of British missionaries and some great landscape. You can also pay a visit to an old church which in fact was the first ever church to be built in Mizoram. Besides, here are five spots in Lunglei that you can visit for a great experience. 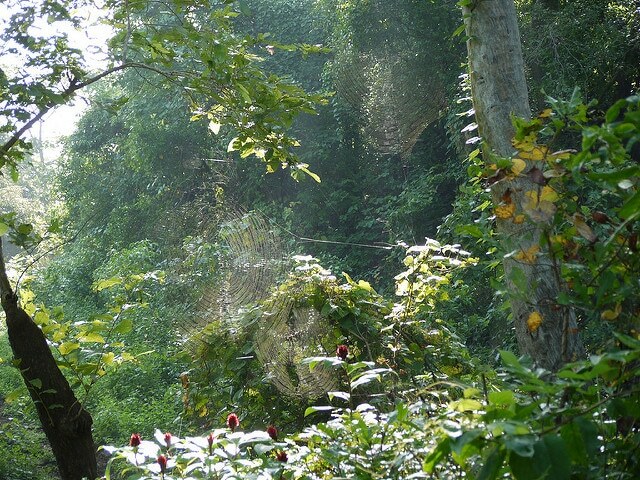 With evergreen forest that offer a lush green beauty, Thorangtlang Wildlife Sanctuary is spread around 50 sq kms. A characteristic feature of the sanctuary are elephants that migrate to the place from Bangladesh. Other animals found here are Wild Dog, Barking Deer, Leaf Monkey, tigers, leopards, porcupine, Jungle Cat, Sambar, Hoolock Gibbon and more. Bird lovers will also find Thorangtlang Wildlife Sanctuary worth visiting as there are a variety of bird species in the area, making bird watching an exciting and fulfilling experience. It is well connected by air, rail and road, which makes it very accessible and easy to reach. The best time to visit the Thorangtlang Wildlife Sanctuary is from October to March. Another sanctuary which is a must-visit when you are at Lunglei is the Saza Wildlife Sanctuary. To be around nature, with lush trees, wild flowers, exotic flora and fauna which includes many animals and different species of birds, Saza Wildlife Sanctuary lets you be in the lap of nature. It not only soothes your senses but also refreshes your mind. If you visit Mizoram and return without experience the local culture or getting to know about it, then your visit is not complete. That is why, a visit to the Saikuti Hall is a must. Actually, is a building with many stories that houses an auditorium, library, restaurants, museum, a conference hall and more. The auditorium can seat at least 1200 people. On the first floor is situated the District Museum which was set up in 2006. Rare artifacts, statues, and other collections that are avid symbols of Mizo art and culture can be found here. Many art works of local artists too are displayed here. Visitors can get to know more about these arts from the artists themselves. There is a great library on the fourth floor of Saikuti Hall which is also a must-visit, as there are more than 21,000 rare and valuable books on a variety of subjects. It is a small but beautiful riverine, which is actually a tributary of Tlawng River. The serene atmosphere around the stream along with its picturesque beauty makes the Nghasih stream very popular with tourists. It is a great place to relax taking in the beauty of the river, the pleasant climate and the serenity of the place. A visit here really makes you transcend to a different place altogether. It is a bridge of rock found around the Nghaish stream. In fact, it is from the name of this rock that the Lunglei district gets its name. That is to say that a visit to the bridge means you are visiting a piece of history. Lunglei is also a popular tourist destination as it is surrounded by picturesque locations, a pleasing climate and a serene atmosphere. So, now you know why it should top your travel charts.